Bhubaneswar, December 1: With the festive and sportive spirit sweeping the city, the State Capital today got two more trails as the tourism season just sets in on the first day of December and beginning of the City Festival. 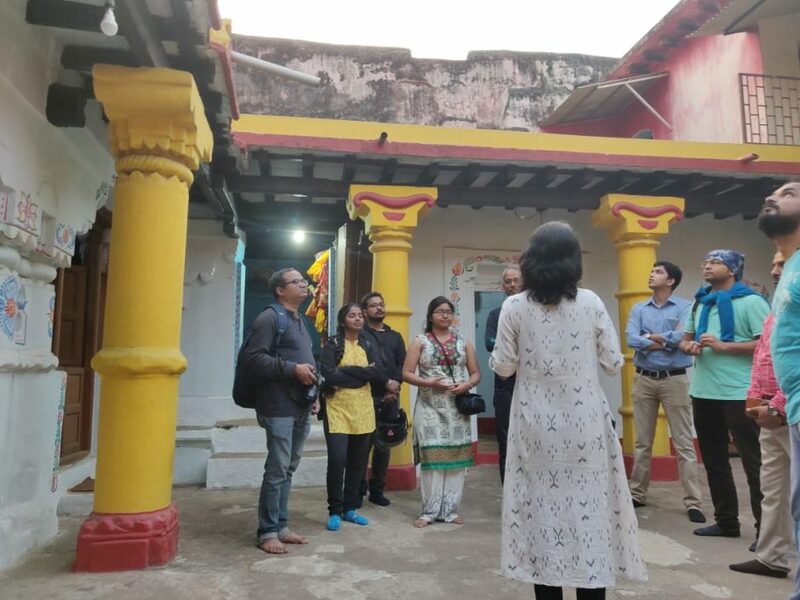 While the Nandankanan Park Walk started at the famous biological park early in the morning as a nature trail under the Bhubaneswar Nature Walk series, the second one Streets of Ekamra started in the Old Town area under the umbrella of Ekamra Walks. Twenty-eight nature enthusiasts and tourists, assembled at the well-known biological park, for the first such initiative. An initiative of Bhubaneswar Development Authority (BDA), Nandankanan Zoological Park and curated by Playbook Consultancy, the walk is first of its kind in the city. The walk will start at 7.30 am every Saturday from the main gate of Nandankanan. Designed to make the visitors part of the operation of the park, the walk took the visitors through the various facets of managing a 400 hectare property and 1,600 odd zoo inhabitants. 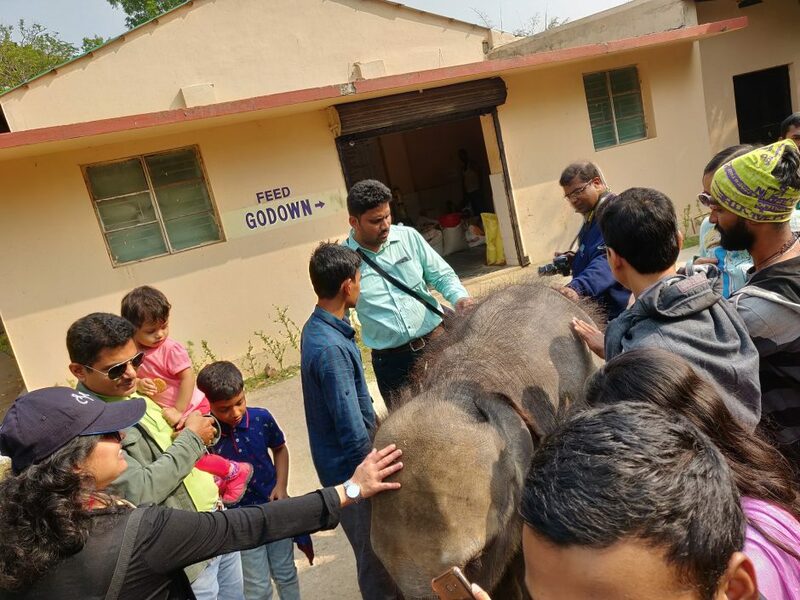 Speaking at the start of the walk, ACF (Visitor Management), Amulya Parida, said that there were four main areas of operation in the zoo, namely, Animal Management, Visitor Management, Feed Management and Waste Management. “While a large portion of the staff is involved in Animal and Feed Management, the park also has a fully equipped Veterinary Hospital with the latest equipment that are designed to ensure all the animals are well taken care of. Plus they also have tie ups with Odisha University of Agriculture Technology for any specialised care that might be required,’’ he added. One of the key areas where the zoo excels is in conservation efforts of various animals. Nandankanan is the only zoo of its kind in the world where the Indian Pangolin is being successfully bred. What started with 12 pangolins in 2009 has now grown to 23. The walk takes the visitors through the Feeding Centre and the Veterinary Centre and also through the various enclosure of some of the star attractions of the zoo. 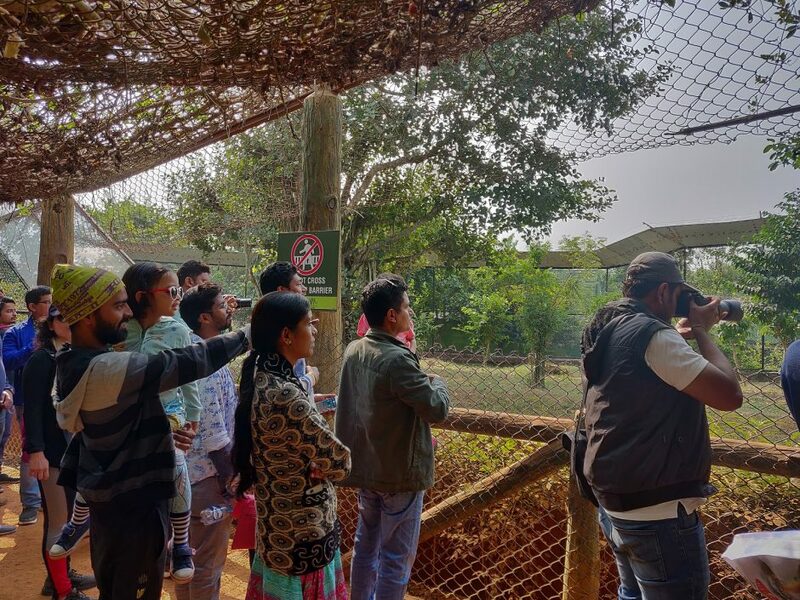 The nature walkers saw the Sambar, the state animal of Odisha, Asiatic Lions, Royal Bengal Tigers and various deer, including the diminutive Mouse Deer. The key highlight of the walk was the Aviary, an artificially-built space where the birds were left free. The entire space is built like a tropical paradise, with an artificial waterfall that made the walkers feel absolutely at peace. Rare of its kind, the Streets of Ekamra shelter stories that have been told over and over for generations. As we explore the vicinity of the temple neighborhood, we come across intangible histories about people and their palates! The new walk, part of the initiative of the Bhubaneswar Development Authority, is curated by De Tour. The highlights of the walk are: “Conversation over Candies’’, in which as the visitors walk along the alleys of the Old Town, they discover the secrets of the sweet recipes like “Kora-Khai’’ offered to the Gods in the Old Town area. This has also become a symbol of Old Bhubaneswar. 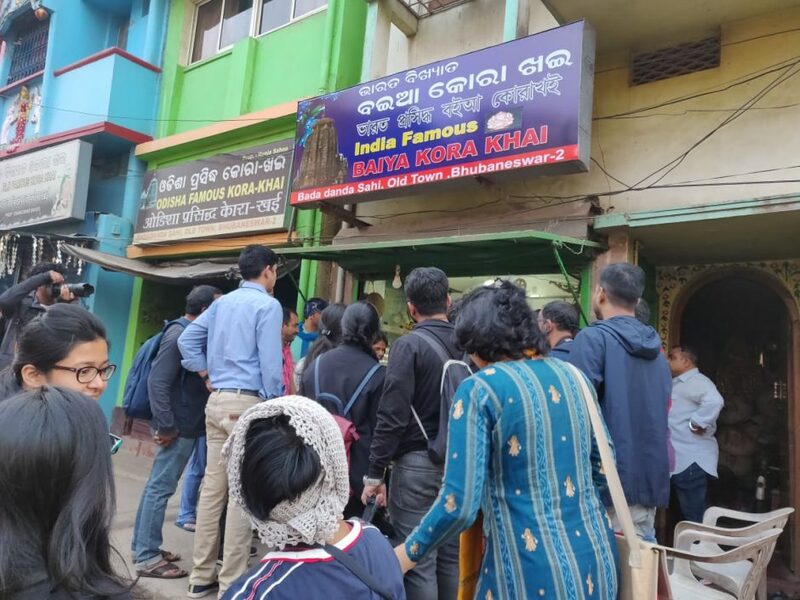 Under the “Temple Delicacies’’ the visitors discovered the diversity of cuisines served to the deity of Ananta Vasudev temple as it is having perhaps the second oldest community kitchen in a temple in Odisha after Sri Jagannath Temple, in Puri. The visitors also had a brief conversation with the ancestral temple cooks about their experiences in the making of “Abhada’’. The unique walk also covered the rituals and celebrations and amidst the crowded lanes of Old Town, the rituals, which normally gets less attention from a regular visitor, gets attention and the walkers try to understand it beyond what the eyes just see. This is of course, through deep observation. The walk will be organised at 3.30 pm every Saturday in the Old Town and will start from Emar Math and passed through Ekamra Van. During the journey the 36 walkers also tested delicacies of Ekamra like Kora Khai, visited Bharati Math, went to Curzon Mandap and shared “Abhada’’ and saw the temple illumination of the majestic LIngaraj, then went to Sari Deula and ended with watching the Light and Sound Show on the banks of Bindusagar lake.